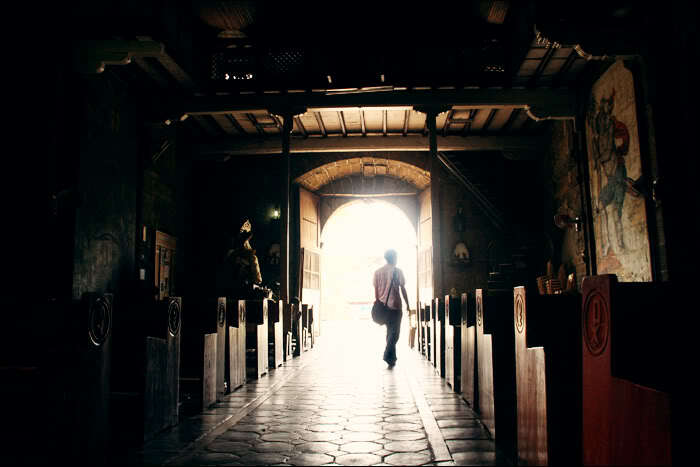 All of us have someone in our family who has fallen away from the Church. Common reasons include the priest was mean to me (words like ‘arrogant’, ‘distant’, ‘aloof’ and ‘insensitive’ are used to describe some priests), he talked too much about money; the people in the church are a bunch of hypocrites (they act one way at church, then they’re no better or even worse than others outside of church); no one ever greeted me and I never felt loved. I find it helpful to divide these reasons into two categories: 1) those who have been hurt and need healing; 2) those who are looking for excuses to leave. 1) To those who have been legitimately hurt, I want to say “Sorry.” If someone sinned against you, then it’s wrong, especially coming from another Catholic, and more so when coming from a priest or sister. We have to acknowledge the wrong and share their suffering. 2) Unfortunately, some people do look for excuses. I once talked to a woman on the phone, who said her husband stopped coming to Mass because an usher kicked him out. I was surprised at this: an usher kicked him out!? I asked her to tell me more. Apparently, he was standing at the back of the church and the usher kicked him out because he didn’t put enough money in the collection basket. I thought, “Really? The usher looked at the amount and then said, ‘This isn’t enough, get out!’?” After talking about it more, I found out that her husband was never kicked out and the usher never looked at how much money he put in. The usher might have been a bit rude, which is wrong, but he never kicked anyone out. This experience was complicated by the husband’s feeling that, at another parish, the priest talked too much about money. All the reasons never added up, and I felt that the reasons were not sincere. I believe, in situations like this, we sometimes have to gently call people on making excuses. Whether people have left the Church because they’re justly hurt or they’re making excuses, today’s first parable is helpful. Jesus sows good seed, but the devil comes along and sows weeds. In the kingdom of heaven, there are wheat and weeds. In the Church, there are saints and sinners; in fact, everyone is a sinner. 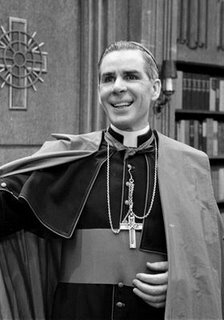 Archbishop Sheen used a famous image: we should not expect the Church to be a museum of saints, meaning that everyone is perfect. We should expect a hospital for sinners, where there’s disease, sickness, viruses, wounds, and people dying. The Church is full of sinners, for one, because she welcomes all people. This doesn’t justify our sins. Our sins are still sins, and we’re judged more severely because we know better. But this does explain why there is so much sin in the Church. In any society, when you bring that much humanity together, you’ll get problems and sins. There’s no perfect church. If you find a perfect church, go join it, it won’t be perfect anymore. The Church is holy, because Christ made her His bride, but her members are sinful (Catechism of the Catholic Church, 823, 827). We’ve got to learn to distinguish the Church from her members. There will always be problems in the Church because of the people. It’s a matter of expectation: should we expect more of Catholics? Yes, because we have extremely high standards, because we’re all called to be saints. But we can’t expect perfection right now from everyone because all of us are on a journey to perfection, even we priests. Recognizing this prevents us from being surprised. We tend to think we’re not part of the problem, but the truth is, we hurt other Catholics too. When we ignore people, are rude, or selfish then we’re part of the problem. If we do the minimum in our life, we’re part of the problem. Does anyone here swear or lie? Anyone here have problems with pride, lust, greed, vanity? We’re the weeds the parable speaks of. When I think of my sins, it makes me more forgiving of others’ sins. All that said, it’s still so frustrating: the sin in the Church, the fact that Catholics hurt each other all the time! I share your pain. But, unless you’ve been seriously hurt by a Catholic or a priest or sister, for which I’m deeply sorry, it’s more likely that I’ve suffered more than most people in the Church. Why? Because I’ve lived with priests and bishops! I have experienced great trials and very painful situations, some of which have left me shaking my head. Once I was treated very badly by a priest and a friend said to me, “Justin, I don’t know how you put up with it. If I were in your shoes, I’d deck him.” Through Christ our Lord, of course. Another time he was so angry at this priest he felt he couldn’t receive Holy Communion. But none of this will ever make me leave the Catholic Church. No matter what happens, I will never leave the Church. And we must all reach this point in our faith. We tend to generalize unfairly. If we go to a restaurant and get bad service, many of us don’t go back. If we meet one rude person at the check-out line of some store, we think “I’m never coming back here.” We label the whole store as bad because of one bad worker. We do the same when we talk about groups of people. When speaking about experiences in Rome, I have heard people complain that Italians are rude, but this is an oversimplification. When people ask me about my own experience of Rome, I say, “My experience of Rome is that many people in the city are unfriendly.” Notice that I specify it as my experience and further qualify it as in the city, because it’s my own experience and I only lived in the city. And I round out my opinion by noting that, on a trip to the outskirts of Rome, I had an amazing time, because I counted on nine occasions the people were extremely kind and helpful. We might decide never to go back to a certain restaurant or a certain city because of a bad experience, but we can’t do this with our family. We might come from a crazy family, but they’re still our family. No matter what my family does to embarrass me, I’m still a Huang. And I’m always Catholic because she’s my family. The devil wants to break up our family. That’s why he’ll do anything to get you and me to leave the Church, because when we leave the Church, we leave the Eucharist, which is Jesus. Don’t leave Peter because of Judas. Jesus chose twelve apostles and eleven abandoned him (that’s an 8.3% success rate; an “F.”). But eleven of the twelve eventually became saints (that’s 91.7 %, a solid “A”). So: 1) let’s pray for those who have been hurt, let’s apologize and share their pain; 2) let’s lead them to forgiveness, so that there will be healing; 3) we all have to grow because we’re all part of the problem. The time will come when I will hurt you (I hope it hasn’t happened already, I’ve only been here for a week!). But because I’m a sinner, it will happen. I don’t want it to happen, but it will. When it does, I will apologize, please forgive me. And the time will come when you will hurt me, and I will choose to forgive you. I love these truths because they make me more forgiving: I’m part of the problem, so I want to grow and be part of the solution. And these truths actually strengthens my faith because I see that Jesus is guiding the Church in spite of us. The Church is holy, her members are sinful.